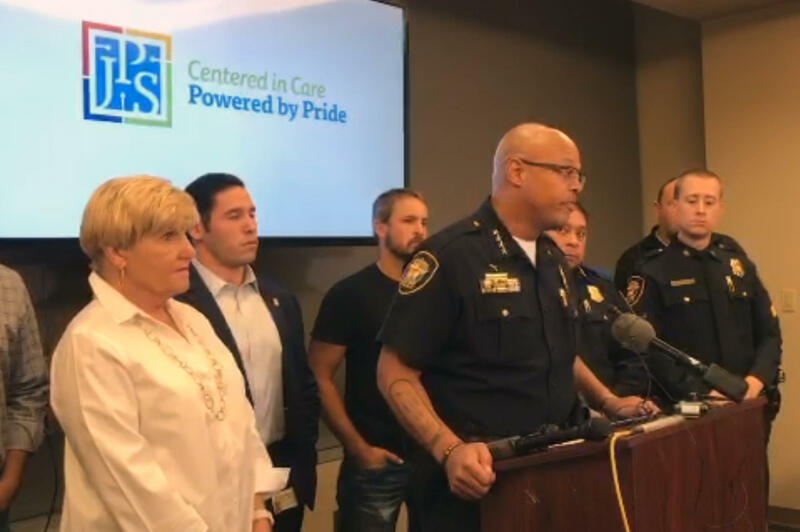 Fort Worth Police Chief Joel Fitzgerald, flanked by other officers and Mayor Betsy Price (left), speaks about the shooting at a news conference Friday morning. 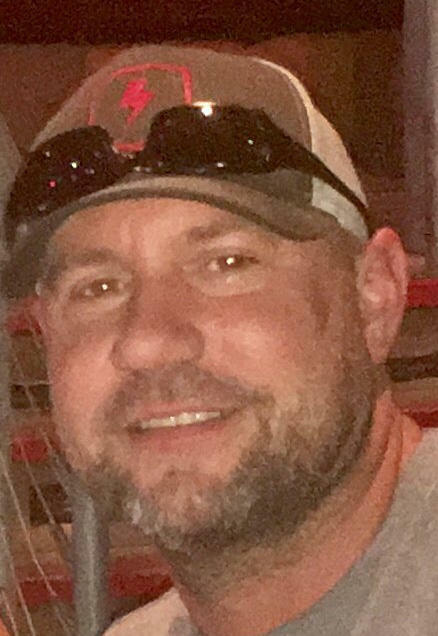 An undercover police officer was shot in the head and a member of a violent robbery crew was killed in an exchange of gunfire early Friday when a police unit disrupted the robbery of patrons at a Fort Worth bar, authorities said. The undercover officer, Garrett Hull, was in critical condition at a hospital, Fort Worth police Chief Joel Fitzgerald said during a news conference. Officer Brad Perez, a police spokesman, later said the suspect who was killed was the one who shot the officer. Two other suspects who fled the bar later were apprehended. No customers were hurt. Hull was part of a team that had been trailing the suspects when it was discovered they had entered the bar with the intention of robbing the customers, Fitzgerald said. The officers rushed into the bar, sparking the gun battle and sending patrons running for cover. Rather than wait for an ambulance, fellow officers rushed Hull to the hospital in a patrol car. "Officers made the decision to go in and try to rescue these folks that are being robbed by this group that had been progressively more violent," Fitzgerald said. "I laud them for their heroism." Mayor Betsy Price said Hull is "in the fight of his life." Rev. K.P. Tatum, a Fort Worth pastor and community activist, said a prayer vigil for the officer and city will be held today at 1 p.m. at the New Mount Rose Missionary Baptist Church, 2864 Mississippi Avenue in Fort Worth. Fitzgerald said the suspects were responsible in past months for more than 15 robberies in which three people were shot. He didn't say how long the police unit had been trailing the suspects or provide any other details of their surveillance. "I feel like I stand up here far too often and speak about officers being assaulted and officers doing their job and trying to create a safe sense of community and cooperation and collaboration in the city of Fort Worth and being victims of violent acts," he said.